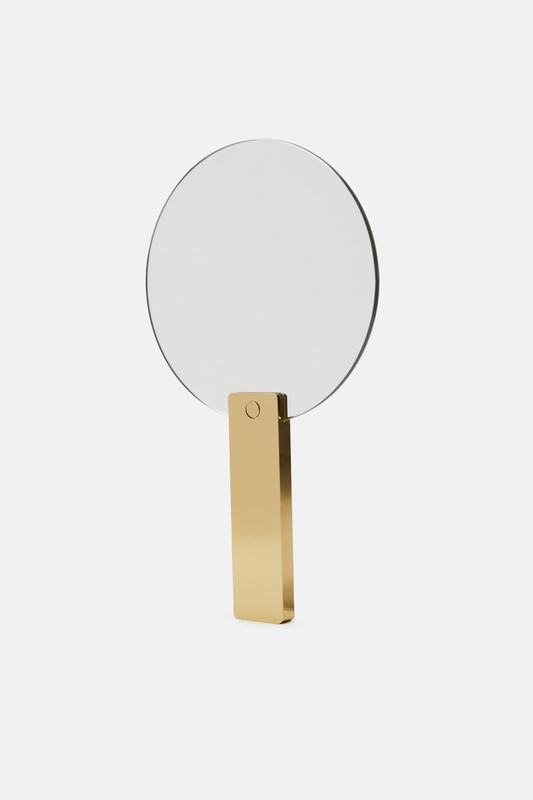 Mirror Mirror round mirror from premium Danish label HAY. 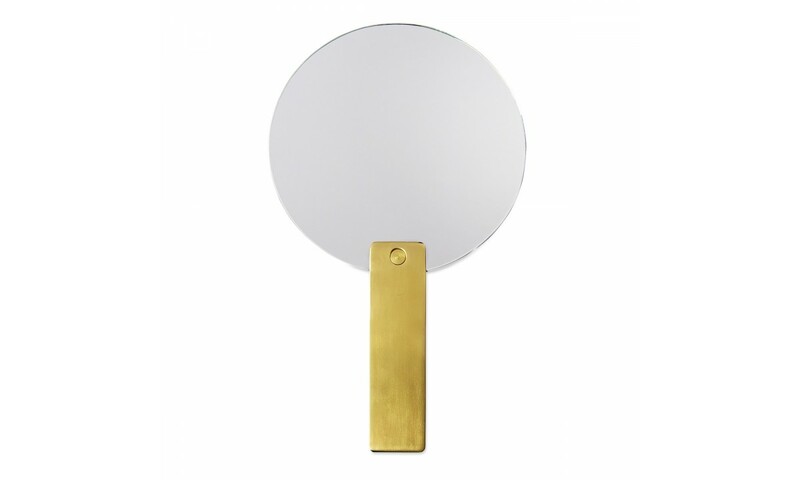 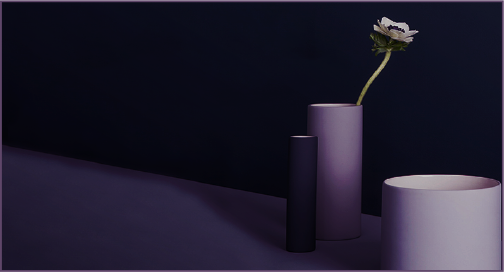 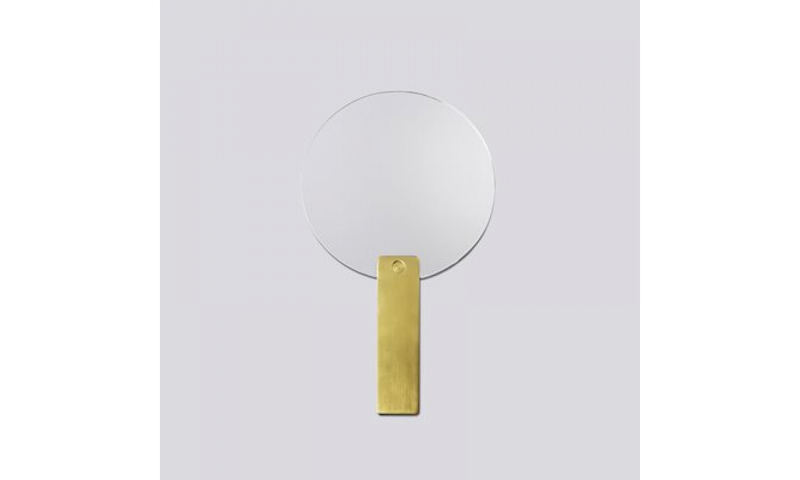 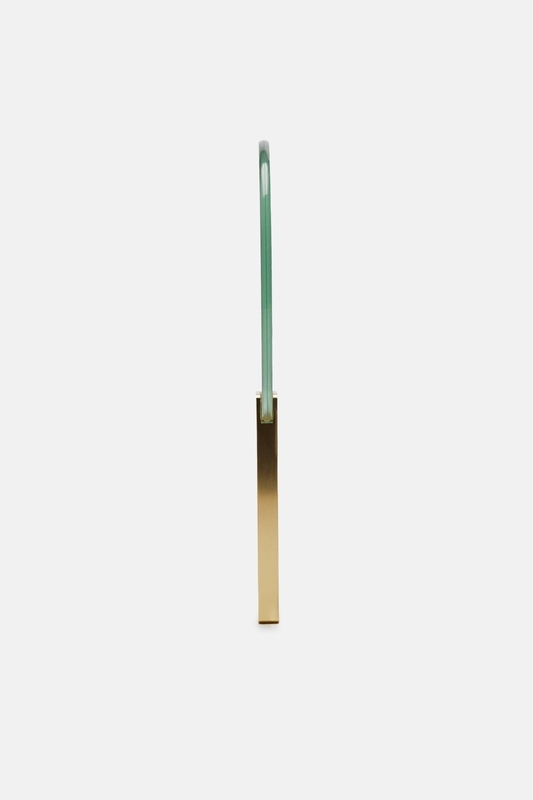 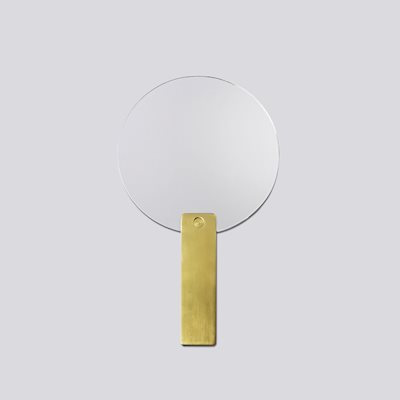 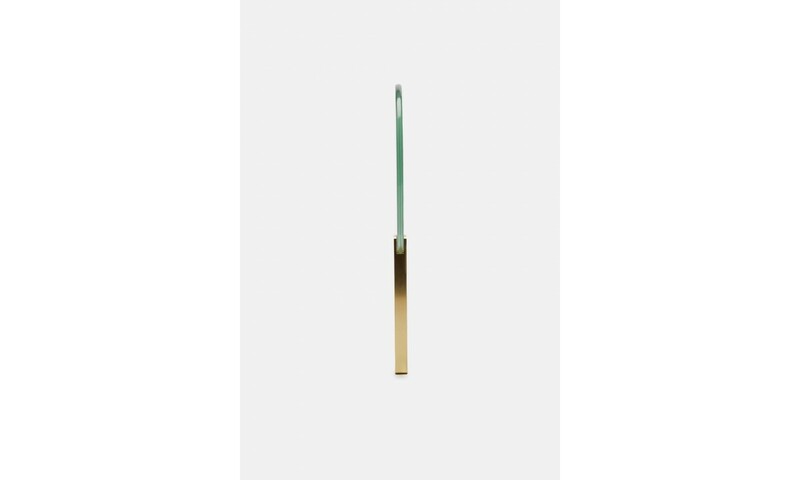 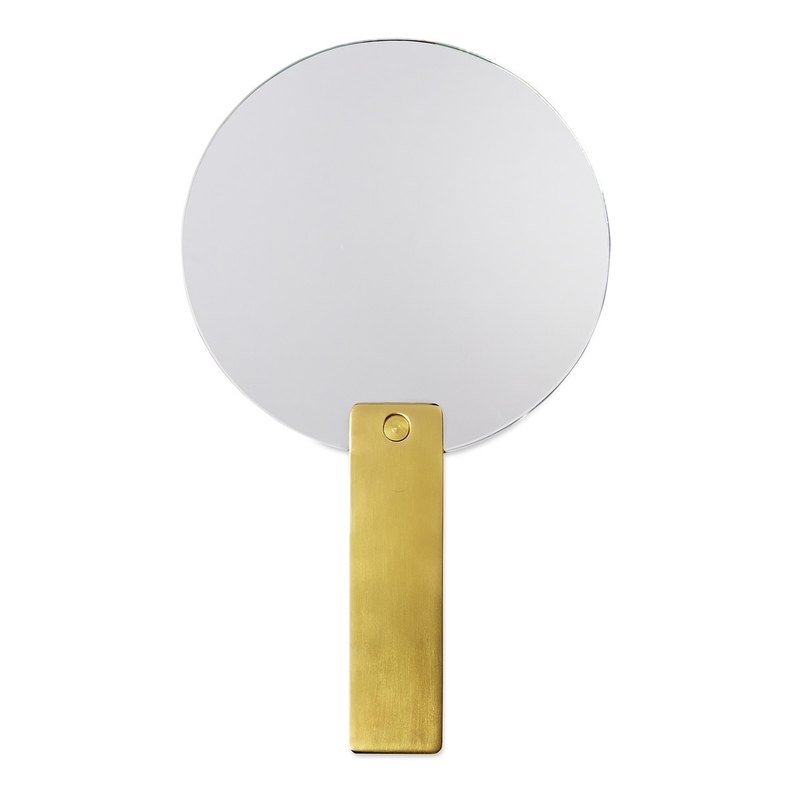 A double-sided hand mirror in its most minimalist form, the Mirror Mirror is an elegant objet d'art for the modern dressing table. 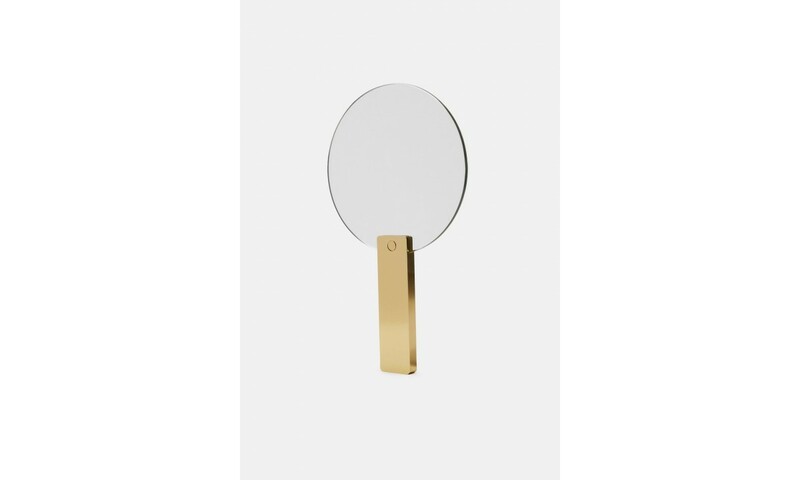 The brushed brass handle ensures enhanced ergonomics and portability, making the mirror a practical yet elegant addition to your dressing table.